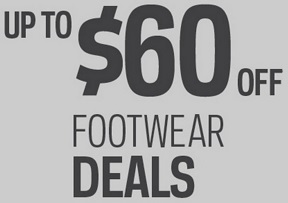 Enjoy Footwear deals at Sport Chek Canada online. Save up to 60% off selected regular priced styles & brands. The offer is valid online only on official Sport Chek Canada website. Sport Chek Canada online also offers free shipping on orders of $25+. Official source of the information is Sport Chek Canada. For more information about the promotion visit the official website. Offer expires 03/22/2016.